This home is situated in a townhouse complex where many of the kitchens look the same. The homeowner wanted to improve the function of the kitchen first and foremost, but it needed some personality as well. 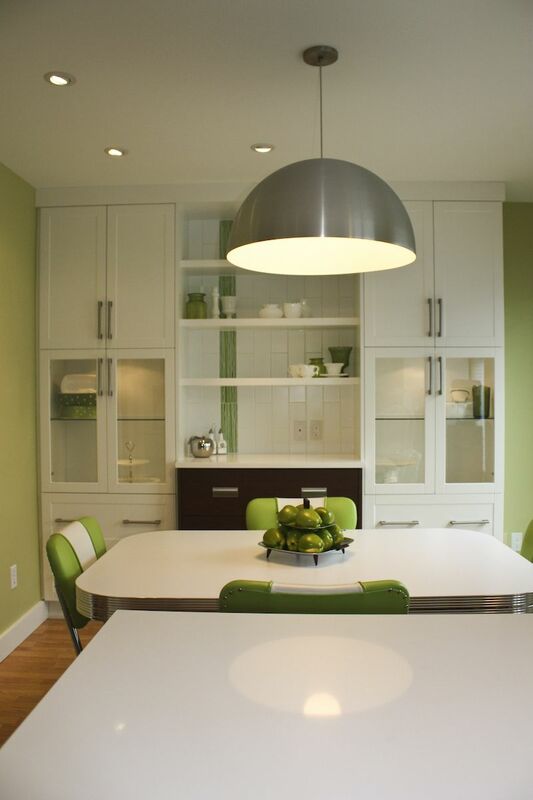 The dining space was moved to be directly adjacent to the kitchen which improved the relationship between the two spaces. This allowed for a hutch/pantry to be added for much needed display and storage. An island was added to the kitchen which improved the amount of counter and cabinetry in the space. 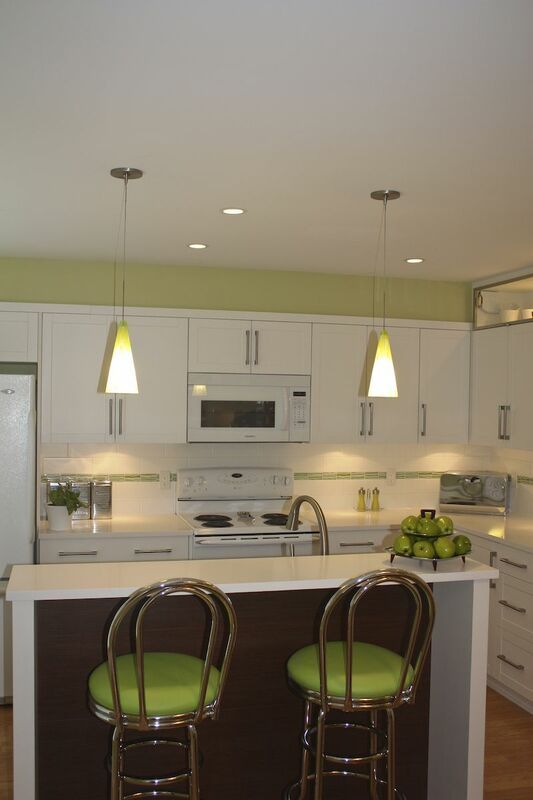 The feel of this kitchen is fresh and fun, which works well with the homeowner’s lifestyle. The retro accents and vibrant colour bring some personality to the space which makes it anything but a cookie cutter kitchen.